Chinese licorice is related to our licorice glaze ( G. glabra ) and has similar effects. It is a typical representative of those plants that, despite their popularity, can not be described as adaptogens. Or, more specifically, liquorice can be regarded as an adaptogen, but it will be an adaptogen imperfect . What is the difference between perfect and imperfect adaptogens? Good adaptogens (such as ginseng ) do not act unilaterally . For example, in terms of blood pressure- dependent hormone stress , ginseng increases this level if it is reduced and decreases if it is increased. Ginseng adapts to the needs of the organism and therefore has no undesirable effects . However, the imperfect adaptogen, which is liquorice (Chinese and glabrous), acts unilaterally. The licorice level of cortisol can only increase, and also increases the level of another corticoid - aldosterone. This effect is well suited where the level of corticoids is reduced or needs to be increased. Corticoids make the organism burden (cause an adaptation reaction), so calling the liquorice with an adaptogen is not entirely unjustified. Its unilateral effect, however, unnecessarily increases the level of cortisol and aldosterone in healthy, unbalanced individuals, which, like chronic stress, can lead to increased blood pressure and other stressful symptoms. It is therefore better to look at licorice as a corticosteroid-lowering drug , the correct use of which is in the hands of a physician or practitioner of the TCM. Liquorice is not an adaptogen, but a cure. Note: The consumption of liquorice confectionery is without danger, because the liquorice is negligible in them - a liqueur-smelling anetol (liquorice camphor) is used for their flavor. The active substances of licorice are divided into triterpenoids (phytosteroids), flavonoids, fragrances and others. The main active ingredient of licorice is the triterpenoid (steroid) saponin glycyrrhizin . 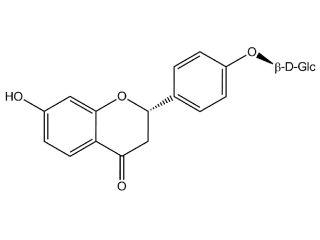 Typical licorice flavonoids are liquitritin and isoliquiritin; isoflavonoids include isoflavonol, cumatakenin, likoricon and glabrol. The other ingredients are chalkons, coumarins (umbeliferon, herniarin) and fragrances, the most important of which is the aromatic alcohol anetol , also called licorice camphor. Interestingly, the anethole, which was first described in anise, adds licorice aroma and anise, licorice, star anise, and last but not least to pendreks, licorice confit and other confectionery and beverages. The main liqueur - glycyrrhizin - is a good example of how effective plant saponins can be. 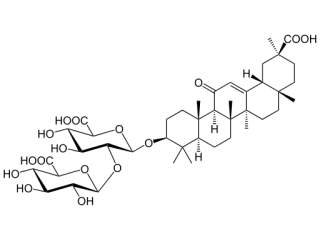 One molecule of glycyrrhizin contains only two monosaccharides as well as sucrose, but the sweet taste receptor acts 50 times more strongly than sucrose due to the interaction of the steroid aglycone with the receptor. It is one of the few cases where we can "enjoy" the neurosteroid effect of plant saponin. Sweet taste, however, is not the most important feature of glycyrrhizin. Glycyrrhizin has the ability to block the enzyme that breaks down the body's own corticoids, aldosterone and cortisol. Adaptogenes are well aware that cortisol is essentially a stress hormone, the discovery of which is due to the discoverer of the generalized adaptation syndrome by Jánosz Sely . But even structurally aldosterone is used in tense situations where it retains sodium and thus water in the body - for this reason, licorice beverages are popular, for example, in Arab countries during Ramadan, when Muslims have to withstand sunlight without fluid intake. Liquoric flavonoids also act on steroids and many other receptors, for example, have anti-cancer effects . Anetol, or licorice camphor, which is used to flavor liquorice confectionery, is also more than just a fragrance - it has, for example, antibacterial effects . Adding to the list of anti-inflammatory effects of elevated corticosteroids, we can easily understand traditional indications of licorice for stomach ulcers, abdominal pain, asthma, upper respiratory tract infections and infections. Licorice is used as an expectorant (cough remedy) and also has mild laxative effects. Licorice belongs to a miraculous family of Fabaceae and therefore has a high content of anti-cancer flavonoids, of which genistein is well known. 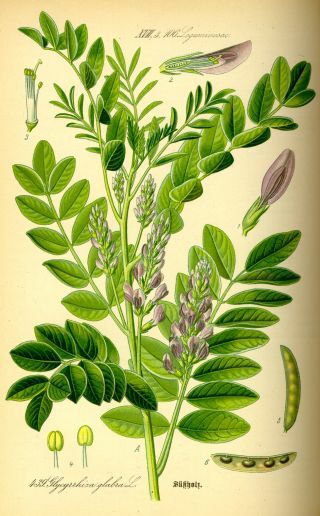 Liquorice is a specific glabridin that resembles genistein and its structure. Chinese licorice has an antidepressant effect . 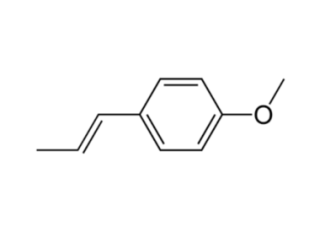 Liquiritin and other flavonoids from Chinese liqueur had an antidepressant and neuroprotective effect in rats ( Zhao2008ael , Fan2012aaf ). Together with the ciclicum , the Chinese liqueur is a part of the TČM compound effective against depression ( Jun2014hmg ). It is a traditional remedy with a protective effect on the liver ( Lam2016hec ). In the popularity of licorice, she undoubtedly played the role of its sweet flavor and the aroma given by the anetole. It can be said that, as with goulash, there is a rule "the more onions, the better", for herbal liqueurs, from the taste point of view, "the more liquorice the better." However, care must be taken not to cause the excess of licorice to produce the adverse effects known to the herb. Liquorice can be roughly described as "stressful ginseng"
Licorice is similar to ginseng, with the nature of its content, and otherwise approaches the category of adaptogens. Looking at the main liquorice substance - glycyrrhizin - in detail, its aglycon is suspiciously similar to the steroid hormones of our body. The same applies to ginseng - its panaxosides are also steroid glycosides. Steroid hormones of the human body have a special meaning in the history of adaptogens because the steroid hormone cortisol generates the so-called generalized adaptation syndrome from which the prefix is adapted. Generalized Adaptation Syndrome is nothing but a fancy name for stress response. Due to their steroid nature, ginseng and liquorice affect the stress response. However, while ginseng has the ability to increase stress or decrease as needed, licorice only increases the stress level. With long-term use, liquorice has the undesirable effects of stress - such as increased blood pressure. Licorice can therefore be described as "stressful ginseng". Licorice is similarly enhanced by the related steroidal hormone aldosterone. Increased levels of aldosterone lead to sodium retention and loss of potassium in the kidneys (hypokalemia). Swelling and other undesirable symptoms of hypokalemia may occur. Liquorice is not an adaptogen, but a cure . Continuous intake of even medium-high doses (3-4g / day) will result in elevated levels of cortisol and aldosterone. That is why liquorice belongs to the doctor or experienced practitioner of the TCM.